If you gave me a choice between winter and summer, I would definitely have to choose the latter. Summer is a time to enjoy the outdoors and spend plenty of time with your family by the beach or the pool. When I was a kid, my parents used to vacation in Lancaster, PA. We’d visit my aunts, uncles and cousins and explore the area. My aunt was a stay at home mom so to make extra money, she would sell frozen kool-aid in small cups for twenty-five cents each. She would make yummy and refreshing flavors like cherry, grape, orange, lime and even coconut. The coconut flavor was my absolute favorite. In Puerto Rico, we call coconut ice Limber De Coco. It’s so delicious! It’s rich and creamy but oh so refreshing. If you love coconut, you’ll love Limber De Coco. Want to see what all the rave is about? I dare you to try it! It’s really easy to make. Don’t worry, you don’t have to cut open a real coconut to make these refreshing and flavorful treats. Place everything in a blender and blend away. It takes about a minute to mix everything together. Once it’s well mixed, pour mixture into small cups. 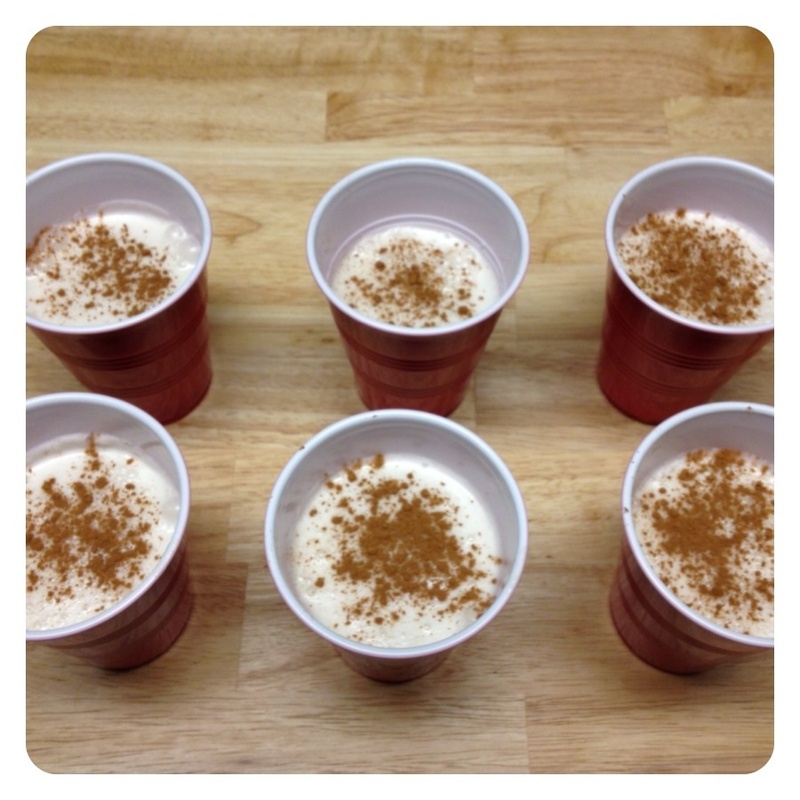 Hit each cup with a dash of cinnamon on top and place in the freezer overnight. Want to make ice pops out of this frozen treat? No problem! Place cups in freezer for about an hour or two. Remove cups out of freezer for a moment to place a popsicle stick in the middle of each cup. Place cups back in freezer and leave overnight. Remove from freezer the next day and enjoy! So yummy! I may make them this weeknd! its soooooooo easy we make it all the time!!!!!! !! I just recently discovered our blog from The Pioneer Woman and I am so happy that I did. I remember going to PR one summer to visit my grandparents and several families made and sold these out of their homes. They were in little 3 or 5 oz dixie cups. I bought so many. I can’t wait to make these. I have evaporated milk and coconut cream but I have to get some coconut milk. This blog/website is awesome! Do you have a recipe for pasteles that might be easier than normal? That’s awesome! 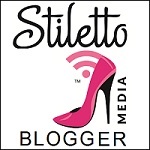 I love The Pionneer Woman – one of my most favorite blogs. I’m so glad you found my little ol’ blog. 🙂 I made the Limber de Coco and my mother-in-law and I devoured them! They’re so good. and so easy. By the way, thank you for stopping by my little ol’ space. 🙂 Please visit again. Can this recipe be made with an ice cream maker too? Love the coco ice that I used to buy off of the carts in Bronx, NY. Thanks for this recipe! When I was a little girl during my vacations to Puerto Rico to visit family I noticed that in many neighborhoods there were ladies who from their kitchen or living room sold “limbers” to make extra money to help with home expenses. Limber was the most refreshing treat I had during the hot Caribbean summer vacations. My aunt in Pennsylvania would make enough money to buy food for her family for the month. Everyone loves ice pops in the summer so its a great way to make extra cash. Thanks for stopping by! Raspberry Coconut Chia Pudding Pops- I LOVE chia pudding & I love coconut milk, so I figured how bad could they be so I basically recreated my mango coconut chia pudding using raspberries in place of the mango. The texture, the flavor & the little bits of fruit in each bite. They are refreshing & delicious and virtually guilt free! Don’t be scared, give them a try! That sounds delcious! I’ve never had Chia pudding. I’ve got to find some to try it. Thanks for stopping by! What size can of Coco Lopez and Coconut Milk? I have a 15 oz (by weight) can of Coco Lopez, but I know it also comes in a smaller size. The milk is 13.5 fl oz. 15 oz is what I used as well. Sorry for not being specific. You’re very welcome. Thx for stopping by. Thanks for your recipe, can wait to try it. My mom use to make them for me when I was a kid. She used to make them and sale them in Puerto Rico when she lived there in her younger age.. Thanks for the recipe, can wait to try it. My mom use to make them for me when I was a kid. She used to make them and sale them in Puerto Rico when she lived there in her younger age.. Thanks for the recipe!! I’m making them to help us beat the heat in a Kuwait! Can’t find coco de Lopez here but I just used regular coconut cream and added some sugar. Can you substitute rum for the water in the recipe for the adults in the audience? I don’t see why not! But it may not freeze too well. E mail Advertising – e-mail and eCommerce?